Harry here. Today, RSG contributor Ezra Dubroff takes a look at the Uber Quest program and shares his best tips and tricks for maximizing your income while doing it! The New York Times recently reported on “How Uber Uses Psychological Tricks’ To Push Its Drivers’ Buttons.” Some of the techniques detailed in the Times’ report included Uber’s use of video game-like motivational tools, used to encourage drivers to behave in very specific ways. For example, a graphic showing an earnings goal when a driver attempts to go offline, encouraging that driver to stay online and reach a specific earnings threshold. But there’s more… if you’re an Uber driver in a larger market, you may have noticed some features in your app called Quest and Boost. 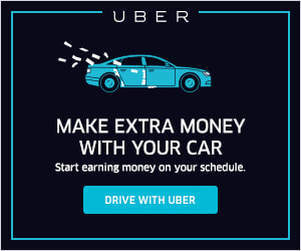 Those video game buzzwords, “Quest” and “Boost,” are incentives for Uber drivers that can translate to real money and increased earnings, so as a driver, I thought it would be a good idea to figure out exactly how to take advantage of these opportunities and earn some extra cash. So today we’ll be diving in and exploring Uber Quest: what it is, how it works and how to use it to maximize your rideshare earnings. For a detailed look at Uber Boost, check out this great feature by Christian Perea from the blog. Over my three-plus years as an Uber driver, I’ve seen various incentive offers from the company but this was the one that really caught my attention. This was in March, 2016, as Uber was just beginning to experiment with these types of weekly incentives in Los Angeles. Wow! $500 extra just for completing 75 rides? This offer created quite a buzz here in the L.A. Uber driver community, as folks were scrambling to complete the required trips and cash in. Soon enough, these types of incentives were being offered to drivers on a regular basis in Los Angeles. By the fall of 2016, they were even given catchy names (Quest, Boost) and integrated into the driver app to allow a driver to track his or her progress in real time. The Quest payouts also decreased considerably from the initial $500 you see above. Uber Quest is a driver incentive that pays a reward when a driver completes a certain number of trips in a certain time period. In the example below, a $60 reward is offered for completing 15 trips and meeting certain other requirements. 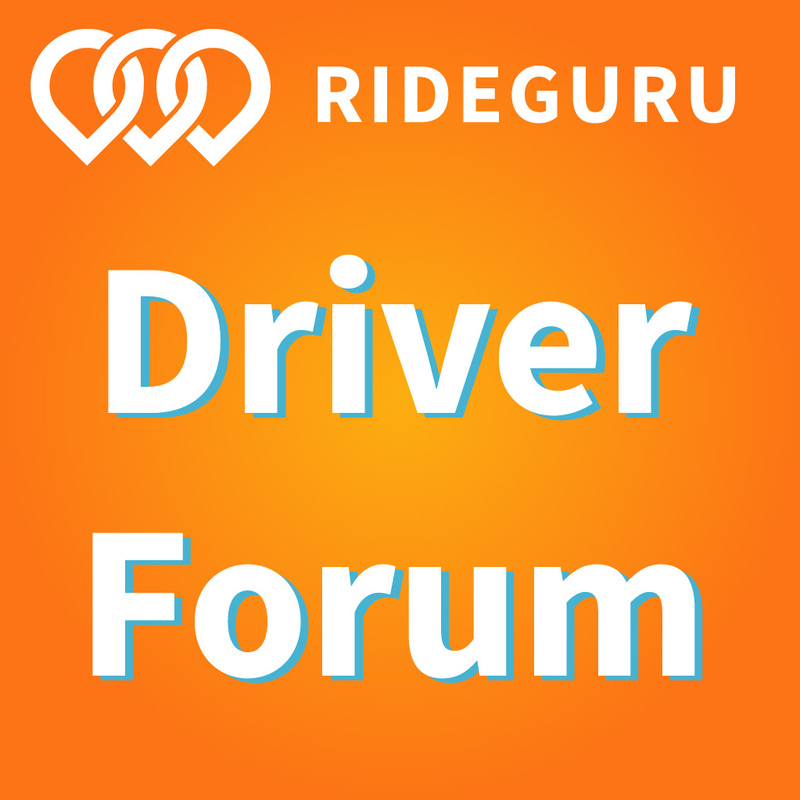 Which Drivers Receive Quest Offers? Like many driver promotions and incentives, Quest is offered primarily in larger Uber markets, where the demand for rides is strong and rideshare companies are constantly competing for drivers’ services. If you live in a city with Quest, you should automatically see any available incentive offers displayed in your driver app. Simply tap “Earnings” from the main menu and then click on “Promotions” to see what’s available. If you’re a driver in a smaller market, incentives like Quest might not be available to you, but that doesn’t mean there aren’t ways to maximize your earnings. 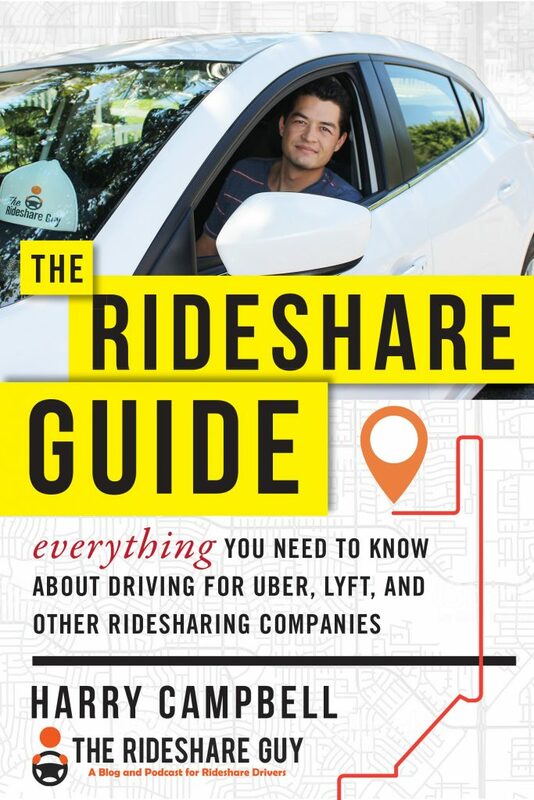 Check out this Rideshare Guy podcast on how to be successful driving in a small market, even without incentives. How Do The Quest Offers Work? While Uber doesn’t release information on exactly how they target which drivers with which Quest offers, it seems the offers are based on a blend of market demand and previous driver behavior. For example, with New Year’s Eve coming up, I received a Quest offer of a $125 reward for completing 12 trips. Such a large reward was obviously tied to the increased demand for rides on NYE after midnight. But there appears to be more to the system that assigns these offers. After comparing the Quest incentives in my app with other drivers in my city, I realized that we were all being offered different bonuses, most likely based on how many trips we’d completed in previous weeks and other behaviors in the driver app. I received an offer of 20 rides for a $80 bonus, while another driver was offered a $50 bonus for completing 18 trips. Same city, same weekend, different drivers, different offers… Hmmm…. And just like Quest incentives vary from one driver to the next, they also vary based on the city you drive in. For example, here in LA, I’ve seen Quest bonuses as low as $25, while drivers in the San Francisco Bay Area are regularly extended Quest incentives that can top $400-$500 per week! Here are a couple recent bonus offers that Christian received in the Bay Area during the last week of March 2017. Notice that there are 2 quests for the week: one for $235 and one for $185 ($420 total). When it comes to driving for Uber, it’s always a good idea to look at the fine print. The requirements to qualify for Quest incentives here in Los Angeles are as follows. Keep in mind that these requirements may vary slightly depending on your market. Time period: Each Quest incentive will have a specific time period in which the required trips must be completed. Normally each week there will be an incentive period for weekdays that goes from 4 AM Monday to 4 AM Friday. Come the weekend, there’s then a second incentive period from 4 AM Friday to 4 AM Monday. I usually receive an email from Uber the night before the incentive period starts, urging me to check my app for the latest offers. Completion Rate: A 25% completion rate is required. This means that I must complete at least 25% of the trip requests I accept. This requirement should be easy for most drivers to meet. Acceptance Rate: An 80% acceptance rate is also required. So out of all of the Uber requests sent to my phone while I’m online, I must accept 80% in order to qualify. This requirement can be a little trickier to meet. I might not want to accept a request if the pickup is far away, the passenger rating is low or the Surge or Boost multiplier is not as high as I’d like. But if I want to cash in on the Quest bonus, I better be sure to keep my acceptance rating above the required threshold. Starting Point: For my Quest offers, all trips must being in Los Angeles County. Check your app for required starting points in your market. Trip Types: Here in Los Angeles, many types of trips qualify for Quest, including UberX, UberPOOL and even UberEATS. 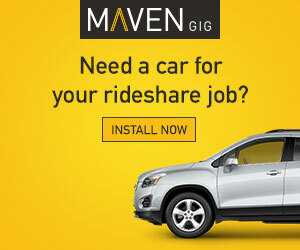 This is great for drivers because it gives us options to earn incentives while completing a variety of types of trips. I can complete rides during rush hour and food deliveries during meal times, with each trip counting toward my total. And while UberPOOL tends to be a pain point with drivers, the good news is that each Pool pickup counts to your Quest total. So an UberPOOL ride with 3 pickups and dropoffs would count as 3 trips when it comes to reaching your goal. Excluded From Quest: Destination trips, rider cancellations and driver cancellations do NOT count towards Quest promotions. You can still complete destination trips and also earn cancellation fees, but those things will not increase your trip total in terms of Quest. When it comes to thinking of Uber Quest strategies, the first things I’m going to look at are the overall bonus amount and the bonus per ride. Giving 20 rides for $20 promo might not motivate me to get on the road, but 20 trips for $80 is a bit more enticing. And sometimes Quest offers include a second threshold to unlock a larger bonus (see example below). For a full-time driver who’s going to complete 55 trips anyway, it’s probably worth it to be sure to meet all the requirements and take home the extra $100. One strategy I’ve had success with is pursuing both Quest and Boost promotions simultaneously. For example, on New Years’ Eve, I was able to earn Boost fares as high as 3.5x, while also getting an additional $10+ per ride from Quest for the 12 trips I completed. Another strategy I like to use is focusing on UberEATS trips while going after a Quest goal. UberEATS trips work great with Quest for a number of reasons: while the distance and time of an Uber passenger ride can be unpredictable, I find that most UberEATS trips are only a few miles and can usually be completed in 30 minutes or less. This means I can generally reach my Quest incentives quicker and more predictably by delivering for UberEATS instead of driving for UberX. Additionally, since most UberEATS trips are short, this allows me to easily stay in a Boost zone and thus pursue BOTH Quest and Boost promotions simultaneously. A ride may pull me far away from my Boost zones, but a food delivery generally will not. This allows me to work most efficiently in unlocking the bonus and maximizing my earnings per ride at the same time. This is actually one of the hidden benefits of doing delivery in general. Delivery companies like Caviar tend to operate in a smaller area and this keeps the miles off of your car. When you end up breaking that down by the total dollars earned per mile driven on a given day, the earnings often beat out UberX since you don’t end up with long trips that force you to drive unpaid miles. Remember when I mentioned the video game codes to get extra lives? Well, I’ve tried to apply that same type of thinking to come up with some Uber Quest hacks. On a recent Sunday, I was going after a 20 trip for $80 Quest incentive. Over that weekend, I had given some rides, completed some deliveries, but had also ignored some requests. As mentioned earlier, these ignored requests included low-rated passengers, faraway pickups and requests without Boost or Surge multipliers. So now it was Sunday night and I had completed my required trips but was just short of the required acceptance rate. I didn’t want to continue giving rides because it was late, requests were slow to come in and I really wanted to get home and sleep. But I also didn’t want to miss out on the $80 that I was so close to earning. So I figured out a way to get the $80 WITHOUT giving any additional rides. I decided that I’d remain online and accept the next request I received. A few minutes later a request came in and I tapped the screen to accept it. But instead of completing the ride, I cancelled it. Wait, what?? Yep, because I had accepted the request, my acceptance rate now jumped above the 80% threshold and unlocked the $80 bonus for me. BOOM! And because I then cancelled the trip, my completion rating dropped, but not enough to disqualify me from the bonus. I got my bonus and didn’t even have to complete an additional trip. Just keep in mind that while cancellations can raise your acceptance rate in cases like this, this strategy should be used carefully since Uber can penalize and even deactivate drivers for canceling too many rides. You’ll know if you’re canceling too much if Uber contacts you with a warning. You can also turn on destination filter in this situation and, while those rides won’t count towards your trip incentives, they will increase your Acceptance Rate and Cancellation Rate, so take advantage while this lasts. One of the most valuable things I’ve learned from my experience as an Uber driver is the importance of understanding how I’m paid and how I can maximize my earnings. Quest is one of many tools that Uber offers that allows me to earn some extra cash while completing rides. So if you’re in a market where Quest is offered, be sure to evaluate the incentives on a regular basis, determine if they’re worth pursuing, create a plan and then go out and execute! Readers, have you noticed Uber Quest and Boost on your app? What strategies do you use to maximize your earnings with Quest and Boost? Ezra Dubroff is a rideshare veteran living in Los Angeles, CA. With thousands of trips and deliveries completed since 2013, he’s been able to leverage his experiences to help other drivers make informed decisions about working in this industry. You can find him on YouTube and at driveuber.com.